It’s Maundy Thursday today. In an ideal world I would have taken today, tomorrow and this weekend completely off but there’s always things to do. So I’m writing this because there wouldn’t have been any post or recipe for this week and I don’t like leaving things unfinished. Also my readers always ask me how I am whenever there’s nothing updated on here so I want to reassure you that I’m still here! It’s already the start of the Easter Triduum. Can you believe it’s mid-April?! This recipe could be something you would want to make on Friday and have plenty of leftovers for the weekend, leaving the big family meal for Sunday. 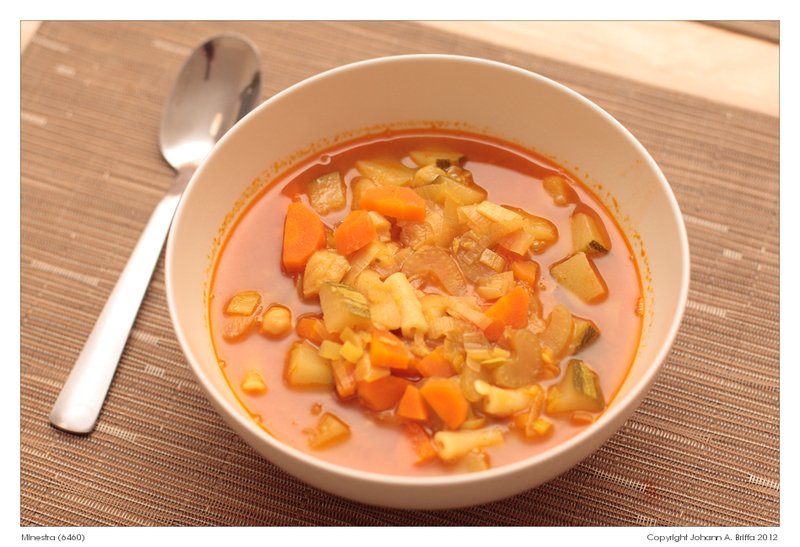 There’s no one method of cooking minestra, a Maltese name for none other than a thick vegetable soup. This is only one riff and the recipe varies every time I make it. Sometimes I just open the fridge and raid it, as do many of my readers. I’m sure – they tell me so. You can leave out anything, or add anything else really. Notes: Yes, I do add an apple of two when I have them to hand, just for a little added sweetness. 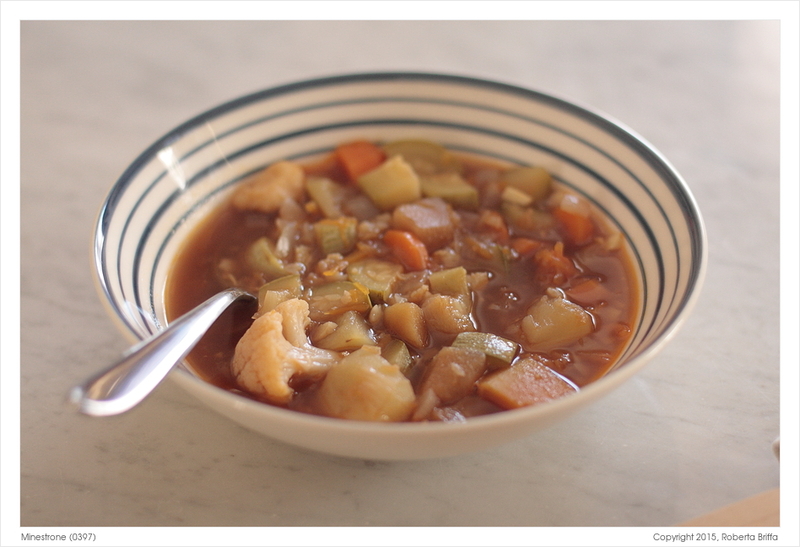 This recipe makes a whole potful of soup. It will keep in the fridge in a tightly sealed container for around 5 days. Place a large pot over low-medium heat and tip in the butter and olive oil. Add the chopped onion, carrots, paprika, ground ginger, turmeric, curry powder, pepper, potatoes and chopped pumpkin to the pan and give them a good stir, until the veggies are coated with the spices. Add the marrows, cauliflower and apples. Pour in the stock and add the Kunserva (or tomato concentrate) and sugar. Stir and let the stock come to a boil. Then reduce the heat to low and leave the soup to simmer until all the vegetables turn soft. Serve immediately. Thanks Nick! I’m glad you had a lovely Easter weekend. Now the next time we’re on the Isle of Wight we must go to that restaurant! How wonderful it would be to go with you guys on a day trip! We should arrange that some day, would need to plan in advance quite a bit. We would drive down to Portsmouth, catch a hovercraft across to Ryde and from there it is a short walk. I just love love soup! This one here looks delicious. Thanks. And – Happy Easter to you.